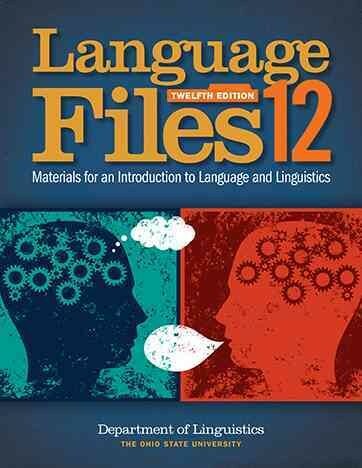 districtchronicles students can sell Language Files (ISBN# 0814252702) written by Department of Linguistics and receive a $25.92 check, along with a free pre-paid shipping label. Once you have sent in Language Files (ISBN# 0814252702), your Independent , DC Area textbook will be processed and your $25.92 check will be sent out to you within a matter days. You can also sell other districtchronicles textbooks, published by Ohio State University Press and written by Department of Linguistics and receive checks.